I can believe a child with dark matter shrapnel in her head can create a deadly dreamscape and plot to murder adults. I can believe a man can run faster than the eye can see. I can believe that someone out there in the multiverse would really date Sherloque Wells. 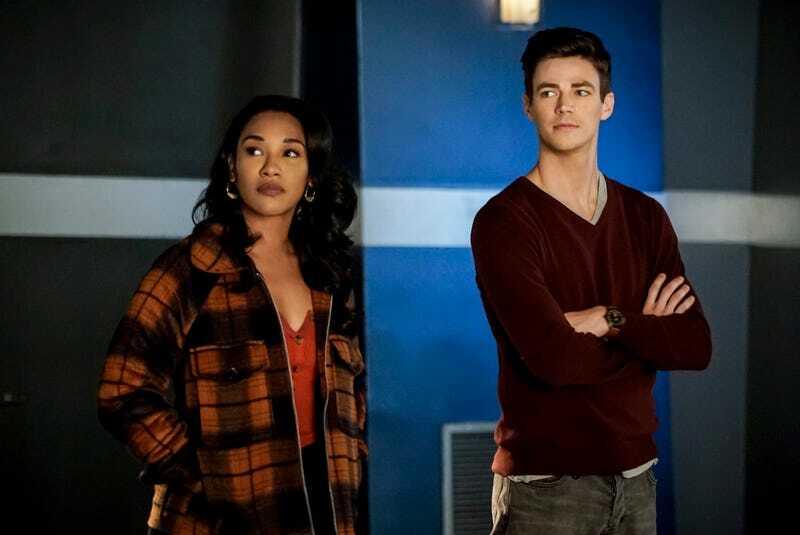 But The Flash just stretched believability by suggesting Iris West-Allen was about to create a digital media empire like Central City’s very own Jonah Peretti. Really Iris? In this economy? It is becoming increasingly clear, as Iris’s blog grows, that in the Arrowverse companies like Facebook, Google, and Amazon do not exist. I mean Facebook would struggle to exist in any universe with vigilantes, as we’ve noted before. One good photo of Ollie in his oil paint phase or a snap of Kara or Sara in their hero gear would quickly reveal their secrets to the world (and all their probably very neglected Facebook friends). But this week’s episode, “Memorabilia,” went a step further. Only whoever is pushing this particular storyline seems to have forgotten that the digital media landscape is a hellscape currently—layoffs, buyouts, and many outlets shuttered or sold for parts over the last six months. There are a wide variety of reasons for this that might not affect a journalist in a city of metahumans, who also has to be married to the most famous metahuman, and can thus get exclusives the Daily Planet, Gotham Gazette, and CatCo could only dream of. But one thing affects all bloggers, big and small, and that’s the duopoly controlling a big chunk of ad revenue. Iris’s blog is a one-woman shop, which means she does not have time to run around selling ad space and ad packages. She’s likely relying on income from programmatic ads—they’re the ones you usually see in margins of a website, or as banners. Programmatic ads are really nice because there’s not a lot of thought necessary to use them. You put them up (in strategically chosen spaces) and get money as people click on them. They’re in decline, thanks in part to Google and Facebook, which many ad buyers see as a better guarantee on their return. So if Iris is making enough money off programmatic ads to start a whole digital media empire out of the Central City Citizen, including an office with a view of a courtyard and employees that actually get paid, then she’s probably doing it in a universe where Facebook and Google don’t have a stranglehold on the online ad space. The only other solution is that she makes a lot of money from affiliate links. That’s where bloggers suggest people buy things and provide a link, and if people click the link and buy the thing then the blogger gets money. A one-woman show earning that kind of money off affiliate links seems improbable, but her husband is the fastest man alive. Maybe he takes a few seconds (or longer depending on internet speeds) and drops all the links into articles she’s furiously writing. Or maybe Iris has secretly secured some VC funding—in which case her lack of transparency about her owners is deeply concerning. Her journalistic ethics are already dubious (as are the ethics of Kara, James, Lois, and Clark). She’s writing about the Flash all the dang time and not disclosing that she has a 30-plus-year-old baby with the guy, a “baby” who recently arrived from the future to meet her dad and do something potentially nefarious for Eobard Thawn. It does kind of make sense that Iris would take a bunch of VC funding and not properly disclose. It’s probably some shell company based off Star Labs. If you think about it, the real villain of The Flash is what its characters are doing to journalism.